The activities of the AI-NURECC Initiative were presented at the latest meeting of the EUSAIR Thematic Steering Group on Sustainable Tourism, on 13-14 November in Croatia. 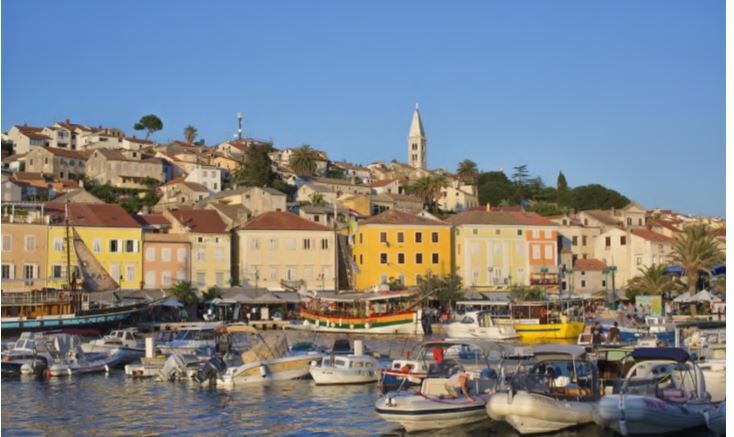 The 9th meeting of the Thematic Steering Group (TSG) for Pillar 4 – Sustainable Tourism, under the EU Strategy for the Adriatic and Ionian Region (EUSAIR), was held on the island of Mali Lošinj. The meeting, took place alongside an International Workshop on the Cultural Routes of the Olive Tree” as a model for Europe’s values, heritage and sustainable development. It brought together members and representatives of the Commission services and invited guests. The AI-NURECC Initiative was presented by Stavros Kalognomos, Executive Secretary of the Balkan and Black Sea Commission (BBSC) of the Conference of Peripheral Maritime Regions (CPMR), who provided an update on AI-NURECC’s activities to date in relation to tourism, including the events held in Tirana, Albania in November.